A strong wind can ruin even the most beautiful day on the beach. 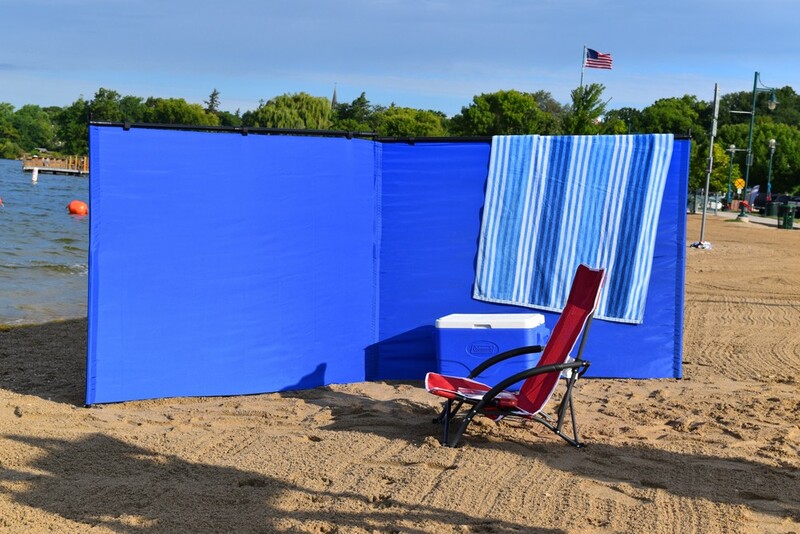 That’s why we make the Wind Warrior Typhoon, the portable 8'x4' wind block that’s built for the beach. The Wind Warrior Typhoon’s low-profile design is perfect for the beach. It’s tall enough to block the wind, yet short enough to see over when you want to. All Wind Warriors are made of a special tight-weave fabric; lightweight, heavy-duty telescoping steel poles; and premium polyethylene connectors engineered to withstand winds up to 50 mph without guylines! Product will ship in 1 week.